Ontario’s wine industry is growing and maturing with each passing year; and this is especially true in Ontario’s Southwest.This region is home to two emerging viticultural areas, Huron Shores and South Coast Wines, as well one that&apos;s a certified Ontario viticultural area, Lake Erie North Shore. What is a viticultural area? 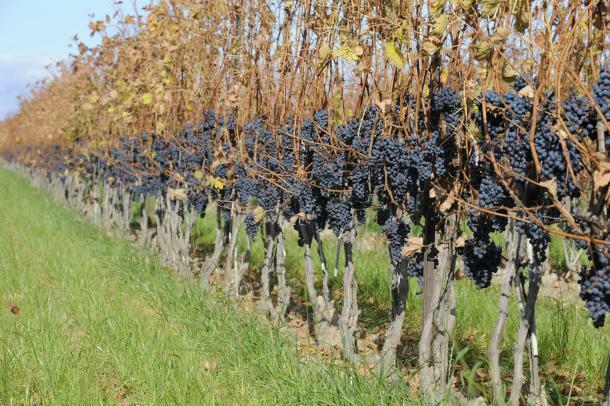 An officially recognized viticulture area is a designation given to a wine producing geographic area based on the physical features of land and climate - the nuances of soil and sun; the minerality and taste characteristics of diverse landscapes – and how all that influences the grapes and the wines. When wines contain all Ontario grown grapes from their viticultural area, they get certified VQA. All the wineries in Southwestern Ontario take advantage of a temperate climate, enhanced by the diversity of glacial soils and the moderating effect of the Great Lakes, to produce their own unique wines. The newest emerging wine region in the province, Huron Shores is home to two wineries with Alton Farms Estate Winery leading the way as the first vineyard on the shores of Lake Huron. With it’s location in the middle of the world’s wine belt, the zone between 41 and 44 degrees north, situated on the same latitudinal plain as Northern California, Huron Shores is ideally situated to produce fantastic wines. The lake effects coming from Lake Huron create their own unique climate in this area giving the grapes, and as a result the wines, their own nuances. At the head of the pack in Huron Shores are Marc & Mary Alton of Alton Farms Estate Winery which produces 100% handcrafted VQA Ontario wines in Plympton-Wyoming. From the planting of grape vines to the corking of bottles, every step in their winemaking process is done by hand. The winery produces 13 to 17 different wines each year. Visit their brand-new tasting room to taste them for yourself and pair them with wood-fired pizza on the patio. The winery hosts multiple events throughout the year, head to their website to see what they have in store. To see the newest planted vineyard in the region and in Huron Shores, check out Dark Horse Estate Winery. 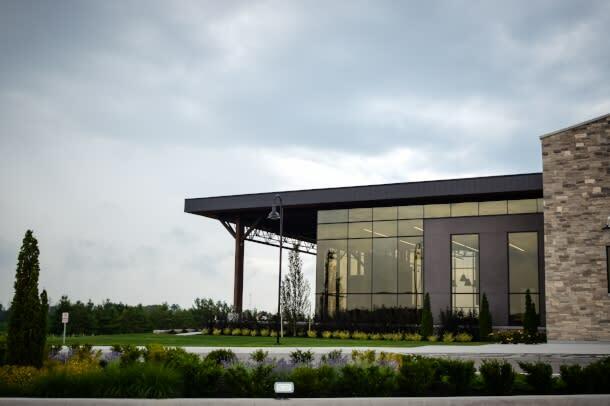 Located just minutes from Grand Bend beach, this is a destination winery just like you’d find in the biggest wine regions. Featuring a huge tasting room and patios overlooking the vineyard, you’ll definitely want to take your time tasting their wines in the picturesque setting. A region that’s steeped in agricultural, growing so much of the amazing produce we enjoy, it’s no wonder that it also produces amazing grapes. The long, warm growing season, nutrient rich sandy soil, and Lake Erie breezes combine to create a perfect climate for vineyards to thrive. There are currently 10 wineries located within the South Coast Wines region and all are producing fabulous, award-winning wines. For exploring, you&apos;ll definitely want to pick up $10 tasting voucher that gives you free tastings at each winery for a full day! All of the wineries in the area can be found on the Toast the Coast Trail and you can explore them with a couple of great guided tour providers, Ride the Bine and Buzz Tour Company. Swing by and check out special events throughout the year too! 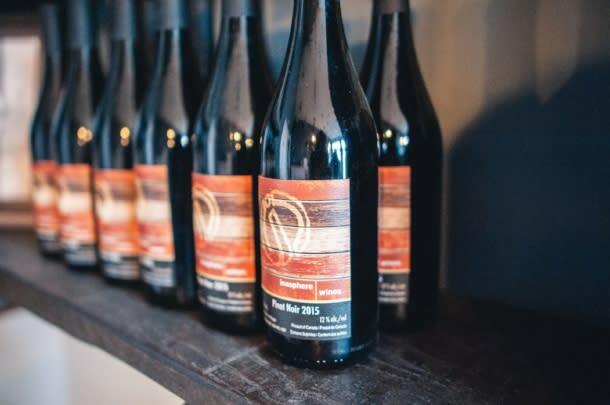 With vineyards first planted in 1970, Quai Du Vin Estate Winery was one of the oldest wineries in Ontario’s Southwest and the oldest in the South Coast Wines region. Producing over 90,000 bottles per year in the heart of Elgin County, winemaker Jamie Quai is passionate about crafting wines people enjoy drinking and support the experiences in life: complimenting favourite meals, bring friends together, and accentuate the special events. One sip of one of Jamie&apos;s wines and you&apos;ll taste all that passion! From the oldest to the newest winery in the South Coast Wines region, Inasphere Wines opened its doors in 2016. Befitting its location in Norfolk County, known as Ontario’s Garden, the St. Williams vineyard is also a vegetable farm. Not only can you come out and enjoy hand crafted wines overlooking Lake Erie and the Long Point Biosphere Reserve, but you can also pick up fresh produce too! The first established appellation in the region, the Lake Erie North Shore, also known as EPIC Wine Country, is almost completely surrounded by water. With no major hills in the area, there&apos;s no barrier to the prevailing southwesterly winds, this part of the region enjoys the full effect of the lake breeze that moderates the entire area during the growing season. Lake Erie North Shore has a long growing season and the highest number of heat units compared to other Ontario regions like Niagara and Prince Edward County. This area benefits from the quick summer warming of the shallow waters of Lake Erie as well as from an abundance of sunshine during the growing season. Early harvests are the norm resulting in a long harvest season perfect for selfies in the vines. Nestled on 38 acres in the heart of the EPIC Wine Country, Oxley Estate Winery produces award winning small batch wines in a picturesque setting. Take in the stunning vineyard views from their Wine Garden Patio with a glass of their Wowza White in hand or head to the Barn for a delicious farm to table dinner. Also, Oxley is in great company on County Road 50 with a number of the area’s wineries including North 42 right across the street! Also located on County Road 50 is Erie Shore Vineyards. Erie Shore Vineyard is a family-run estate winery located in picturesque Harrow on the banks of Lake Erie. The vineyard opened its doors in 2002 and has been producing critically acclaimed and award-winning estate grown VQA wines ever since. So visit them for a glass on the pavilion and enjoy the hospitality and scenic views! Take a look at the EPIC Wineries events calendar for all the events happening across this wine region this summer; there&apos;s something going on every week! You&apos;ll also want to grab an EPIC Passport for your adventures. Take advantage of special offers from each of participating winery. The passport offers $100 of value for just $10! Ready to explore this amazing wine region, check out Farm Dog Cycles for awesome cycling winery tours or head to the vineyards by car with Grape Vine Tours. 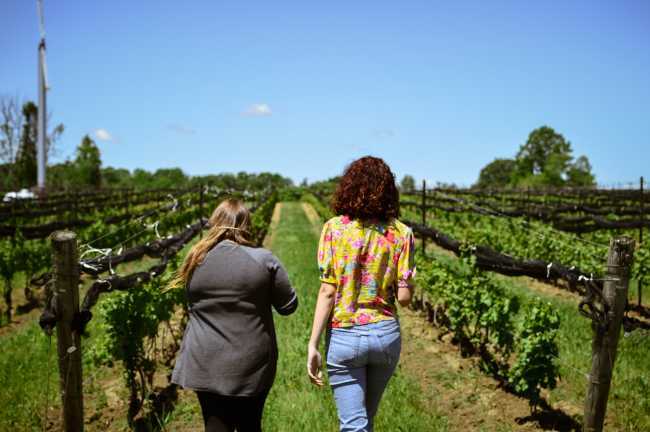 Visit EPIC Wineries for a list of other wineries in the area and take a look through Essex County Wineries & Breweries for the fruit wineries and craft breweries that await you in Essex County.